Day 1 in Bodø started around 8 o’clock in the morning with an ice storm by the coast, and my persona standing in the very eye of the storm. I left my hostel (conveniently situated in the very train station building – it’s the Hostelling International, highly recommended if you’re looking for budget accommodation in Bodø! ), and obviously it wasn’t even raining. 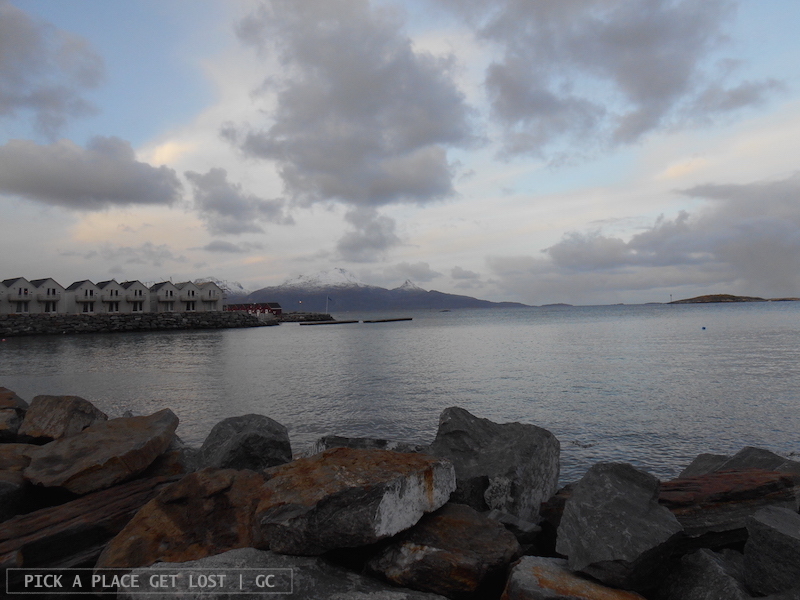 So I ventured toward the pier right behind, right next to the Hurtigruten pier. Suddenly round bits of the whitest ice were pouring down like they were being fired from all sides. It was hailing sweetener tablets. I hid my face in my scarf and stood motionless by a tiny cabin right there, which really was the most pointless thing I did that day. 3… 2… 1… Soppy wet. 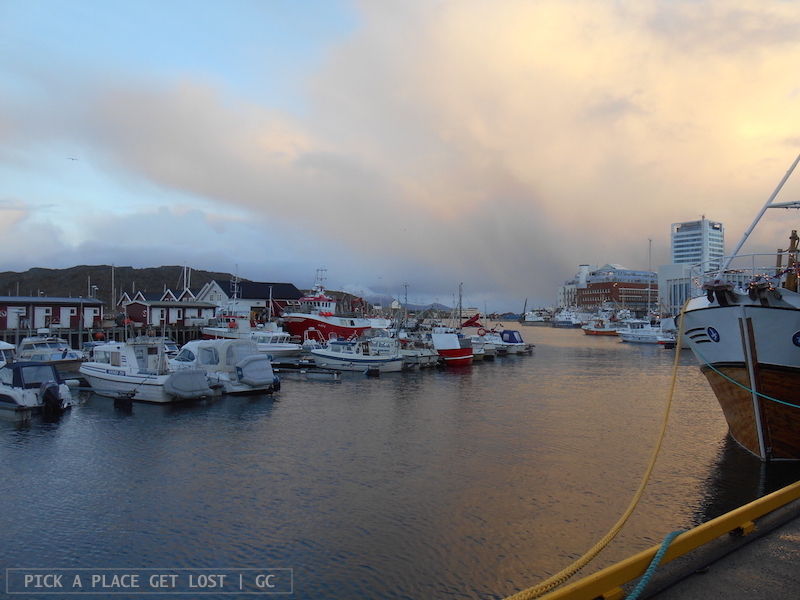 Ten minutes, and it was all gone: the ice rain stopped, the sky brightened up, and it was sunrise. 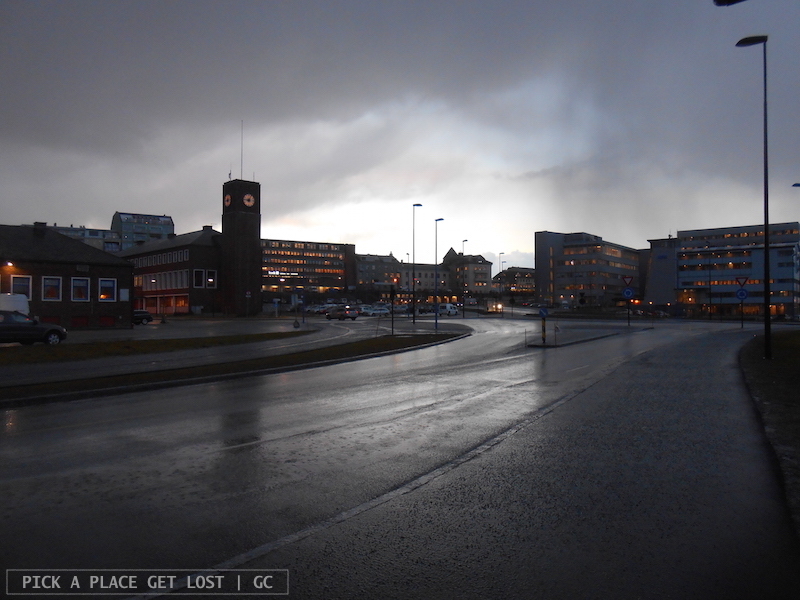 I cautiously left my (un)safe spot, and headed back toward Sjøgata and the city centre. It was still a bit dark, the city half asleep, but the air was crisp and the sky clearing up fast. I almost accidentally came across two of the countless street art works scattered all over Bodø and soon found myself in front of the Tourist Office. 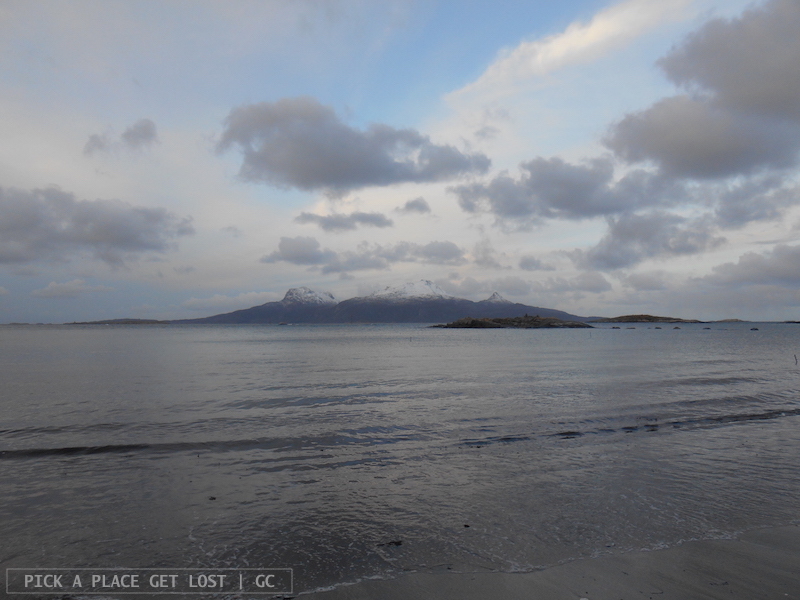 Ten minutes later I was booked on the three-hour ‘Arctic Walk’ organised by Stella Polaris around beaches north of Bodø. 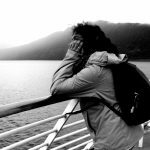 It was easy to ‘kill the time’ as I waited for 12.30, when I would meet the guides and the other ‘walkers’ by the Hurtigruten pier (i.e. basically behind my hostel). I had quite a stroll around the centre, visited the Domkirke (Bodø Cathedral) on Torvgata, walked past the (beautiful) library and the (beautiful) concert hall and, finally, made it to the harbour. I went straight to the very tip of the pier, where there’s (also) a colourful lighthouse and where, I believe, in the summer locals and tourists spend hours on end on a sunny day. Right then I was there alone, and the pier was all silent but for the noise of the anchored boats quietly rolling in the low waves. The sky was pink, and cast a pinkish hue on all things around. It’s funny how ‘breathtaking’ does turn out be an understatement at times. The side of the pier overlooking the open sea is lined with seven large granite stones that would look rather ordinary and shapeless if it wasn’t for the large, perfectly round see-through holes drilled through them. The stones form the installation Utten Titel (Untitled) by super famous contemporary artist Tony Cragg. The work was put in place in 1993, and symbolises the close connection between nature and culture, but also the sea and the land. It does look perfectly integrated in the landscape. I stayed at the harbour for as long as I could, till I noticed it was 12.20ish, so I rushed back to the pier, because I didn’t want to be late. The bus was there, and so were our two guides, while the other ‘walkers’ (around 15-18 in total) were only just getting off the Hurtigruten and approaching the bus. They would get back on board straight after the walk, headed toward Lofoten. The shortest bus ride, and it was all nature around us but for a few cabins by the water. Now, usually I’m not a fan of group visits and group tours, especially when I’m travelling. I must say, though, I did have a great time, and the group included a lot of super interesting people. Like, there was a super professional photographer that had the hugest camera I’ve ever seen, and when (spoiler alert) a sea eagle flew right over us all of a sudden must have taken loads of super cool close-ups. And another woman knew a lot about birds, and did some quality ‘bird-talking’ with one of the guides. Coincidentally, I was standing just between the two of them as we walked on, so I listened intently and tried making mental notes of the cool things I didn’t know, which they were casually mentioning during the conversation. Amongst them, the bird called guillemot, which is a fairly recurrent sight around Bodø. I had never even encountered this word, so much so that it took me a while to figure out the correct spelling and Google it properly (God, I’m such a beginner! And by the way, it’s pronounced /ˈɡɪlɪˌmɒt/). As it turned out, that was the first in a long list of things I learned throughout the walk, and about loads of subjects: sea eagles, the Vikings, moose and reindeers, the deep-water coral reef, and Doggerland. As we walked down to the shore, one of the guides told us we’d be visiting three beaches. While she said the third on the list was called Ausvika, she didn’t mention the names of the first two (or maybe I failed to catch them). So right then and there I thought I could title my post about beaches ‘Where The Beach Has No Name’. Then I kind of managed to call all three by name, so I came up with a new title. It took me a while to identify the first. In fact, I thought I’d have to give up. 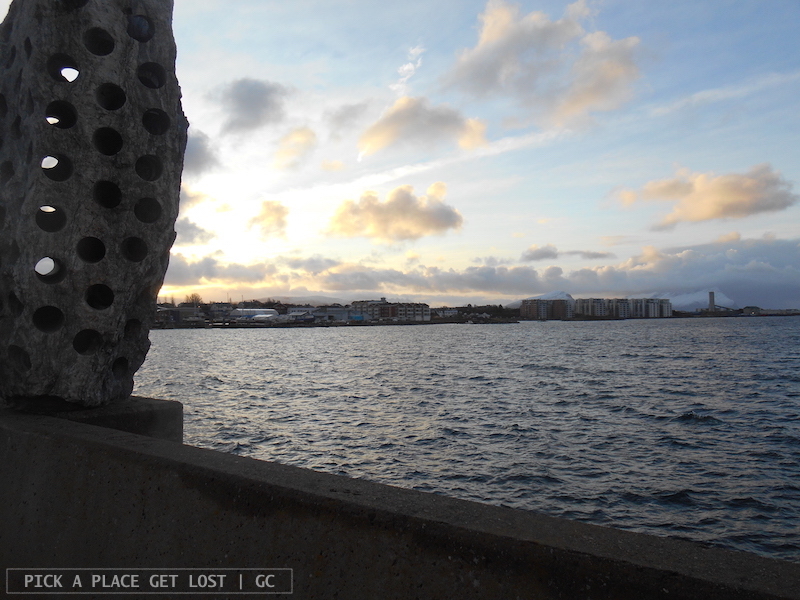 Then I did some extra Google-mapping and Google-Earthing, and my educated guess is that it was Løpsvika. But I am not absolutely sure, so I will call it Løpsvika from now on, but if I got it wrong and you know it, heads-ups are more than welcome. 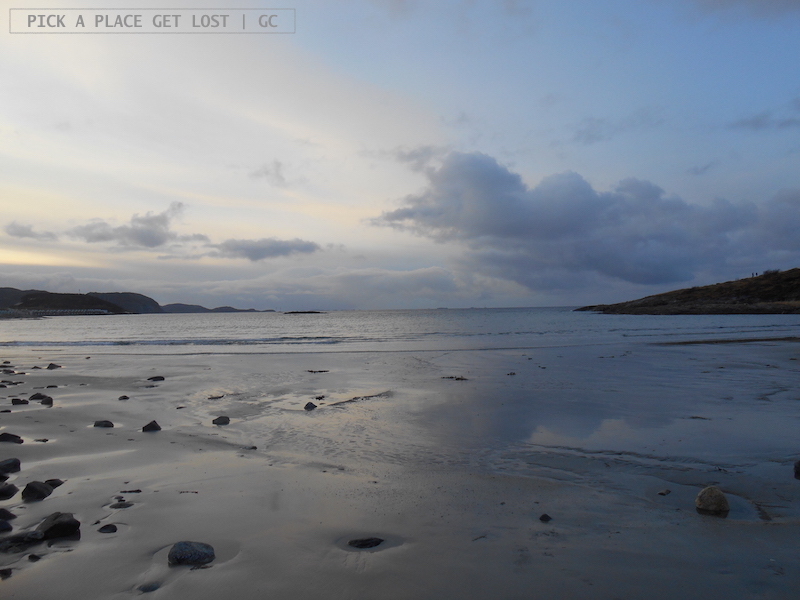 As for the second beach, I believe it was Gravenbukta: it was very close to the first, and it was equally stunning. The third and most popular among the three was indeed officially introduced as Ausvika. 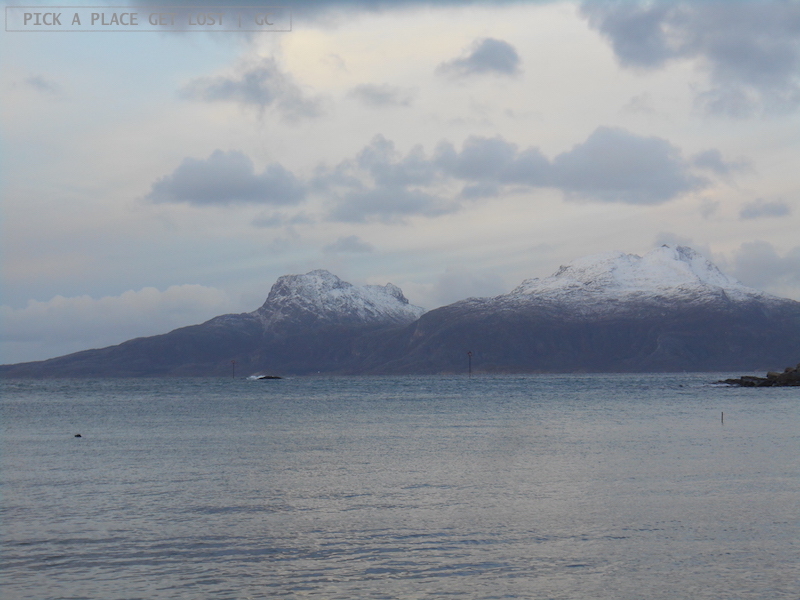 Okay, before Bodø I had never been to the Arctic in winter. I had always wanted to, but never got round to. Standing on that beach that afternoon is one of those memories that got instantly and forever engraved in my mind even before they could become memories at all effects. Blame it on the silvery light, the light blue-greyish water, snowy Landegode Island in the distance, and the seal unexpectedly peeking its round black head out of the water. Everything was perfect and mesmerising. Our guide pointed out the shells and, especially, the corals scattered all over the beach. As she explained, the corals come from the deep-water coral reef located off Norwegian mainland at a depth of up to 400 metres below sea level. They looked funny, all whitish and vaguely shaped like brains of different sizes. They came from afar. 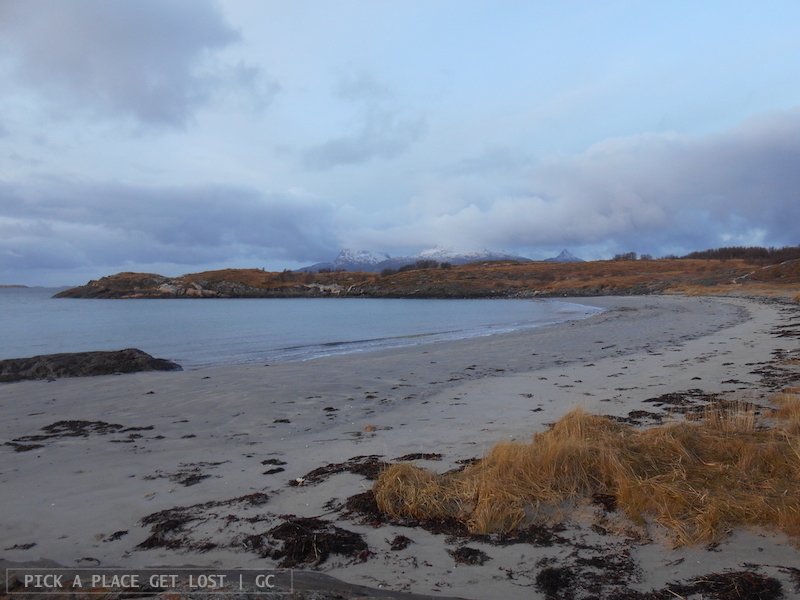 I called the second beach Gravenbukta, because when, shortly after the trip, I looked up Bodø beach names on the Internet, I came across a photo gallery where one of snapshots was amazingly identical to a photo I took during the walk. The beach in the photo from the website was Gravenbukta, so there was little doubt that the one I had photographed might not be the same. During the ten minutes’ walk from the first to the second beach the sun peeked out without warning, and the landscape changed suddenly. It must have been shortly before 2 o’clock, and a timid tinge of orange in the sky already suggested that sunset was on its way. If you go to Ausvika it’s easy to guess why it’s thronged with people when the season allows it. The beach is nestled in a small bay whose shape from above looks like a perfect fan. 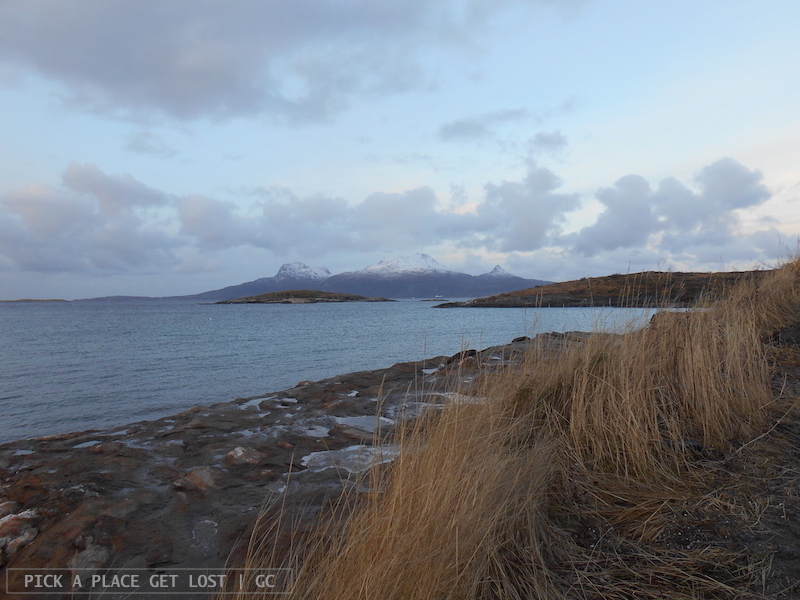 The location is obviously super scenic, kind of similar to Gravenbukta, but more spacious and slightly more remote. As we left the beach, the final stretch of the tour took us down a path in the grass, partially through the trees (i.e. the very few trees around). We walked past what used to be a burial ground from the age of the Vikings. The tombs had been subsequently looted at some point (hard to tell when), as suggested by the shape of the earth mound, where the Vikings had been buried with their – by now long gone – valuables. Near Ausvika, we stopped on a hill, where the rocks overlooked the sea. That is when our guides produced two huge flasks from their bags, and generously poured boiling hot meadowsweet tea into paper cups aptly handed around to all of us. So we stood there, sipping tea with the sea and the mountains all around us, while the wind blew hard and the sun prepared to set. 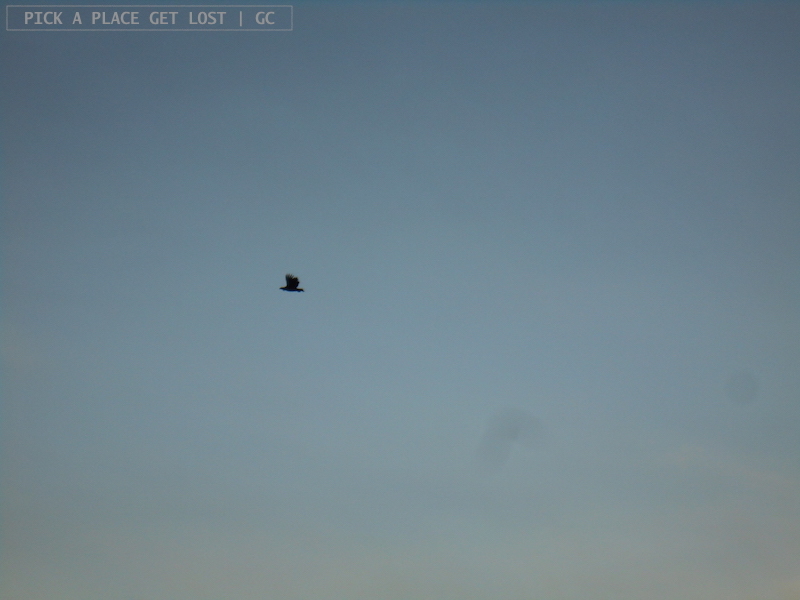 Just then a sea eagle thought it’d be nice to fly across the blue sky just over our heads. I goofily reached for my camera and, despite its crappy performance that day, I managed not only to take a photo, but to take one where the eagle does look like an actual bird, and not some random flying otter. On the way back to the bus I had this amazing conversation with an elderly British lady, where in the span of ten minutes we managed to talk about British politics from the past two or three years, separatist movements in Europe, and dissertations. Wow. We found the bus waiting for us by the main road. When we got back to the pier, everyone (but myself and the two guides) hurried back to the Hurtigruten, where they’d be off to Lofoten for the next few hours. As for myself, I went back to the city centre in search for a café where I could recollect the memory of the beauty I had just seen and, finally, make a list of all the things I’d just learned. /ˈɡɪlɪˌmɒt/ included. This entry was posted in Norway, Norway 2017 and tagged arctic walk, ausvika, bodo beaches, gravenbukta, lopsika, stella polaris by Giorgia. Bookmark the permalink.